Our leaflets and other promotional material is produced by Exe Valley Design & Print, a short bike ride away on Marsh Barton. 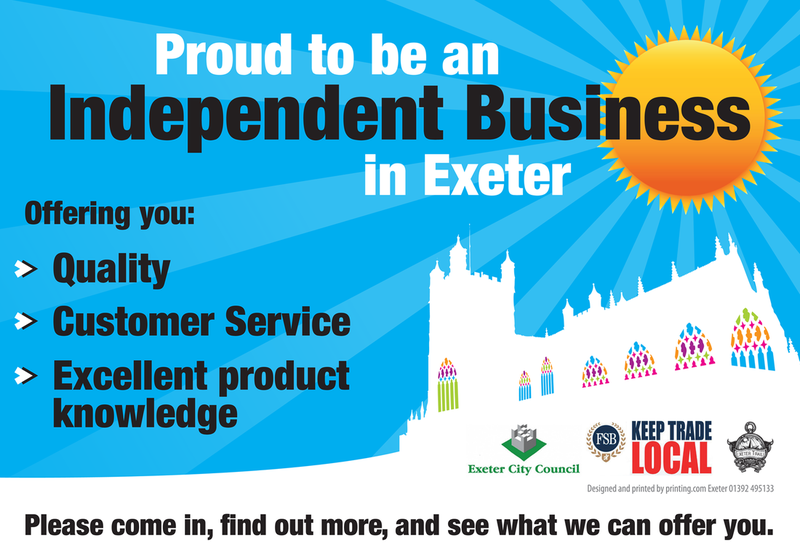 We feature on Exeter Trails – a series of guides to the wide range of indie shops and services in Exeter. We also work closely with other local bike shops because we believe business is better together.